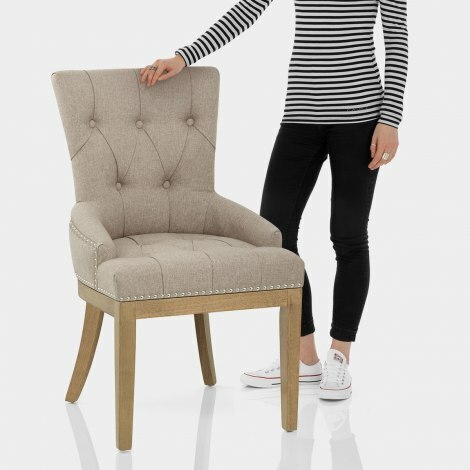 The Knightsbridge Oak Dining Chair Tweed Fabric makes for a fashionable addition to a classic kitchen or dining area. 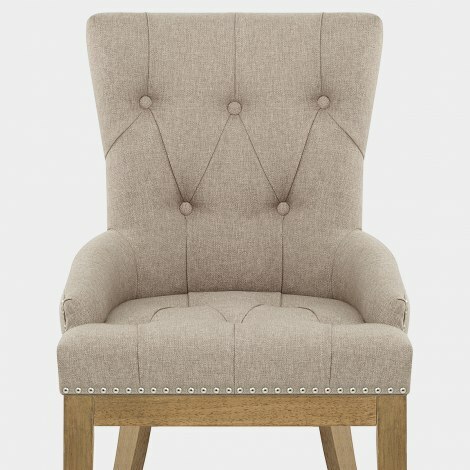 Charming in tweed, the fabric seat has many decorative details, including metal stud edging and deep button detail. Additionally, there is a belted frame beneath the seat to offer first-class comfort. Edging the underside of the seat is an oak finished solid wooden frame. Comprised of four strong and sturdy legs, each one includes a protective plug to help maintain the condition of your flooring.